The devil is in the details. Knowing exactly what you’ve sold, used, ordered and have in stock enables better decision making, but how many of us have the time or resources to track and manage our sales and supplies? Get smart. 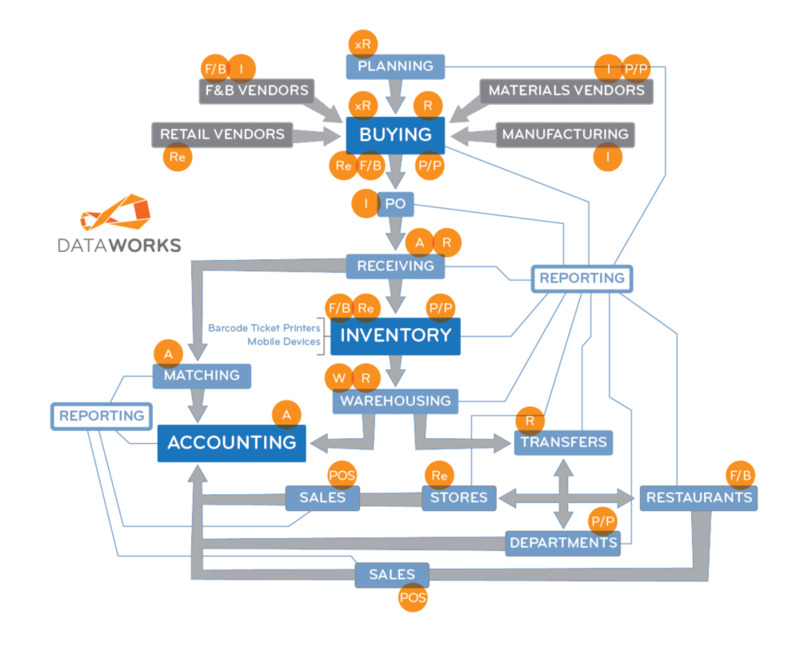 The DataWorks back-office procurement and inventory management system gives you a complete picture of your business, from planning to purchase orders to payments. DataWorks makes it easy to manage, track and report on your sales and inventory, at your desk or on the go. We do our homework. DataWorks software incorporates the latest technology and programming advancements to give you clear, fast, real-time information you can trust as you gauge just what you need to run a tight ship. Cover your assets. The scale and scope of your business may change, but don’t worry. DataWorks will be there to help you make smarter decisions, improve customer service, maintain control and foster productivity—for a positive impact on your bottom line.